China is home to the world's largest legislatures. China's National People's Congress. Editorial credit: humphery / Shutterstock.com. The membership of the legislature is usually defined in a nation’s Constitution, and as a result the sizes of the world’s different legislatures vary greatly. China’s legislature is both the world’s largest parliament and unicameral legislature, while the Parliament of the United Kingdom is the world’s largest bicameral legislature. Germany’s Bundestag is the largest lower house of any bicameral legislature in the world. According to China’s Constitution, the role of legislation is the mandate of the National People’s Congress. The legislature is made up of 2,980 members making it the world’s largest legislature. The legislature is a unicameral having only one house. 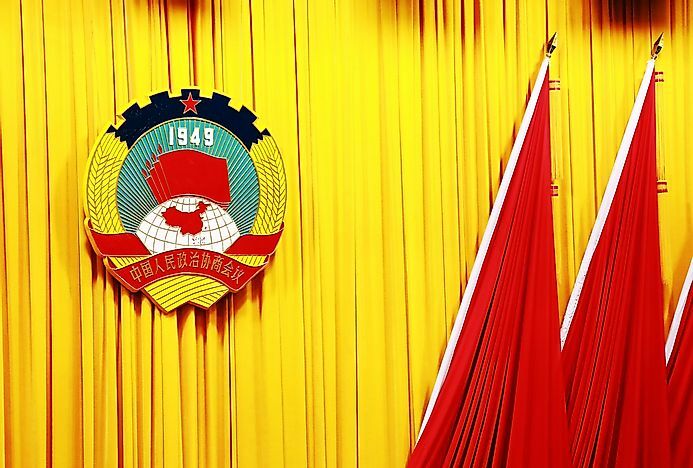 The Communist Party of China has the bulk of the legislative seats in the National People’s Congress, having 2,119 seats, while 382 seats are shared among the other small political parties in the country. The Jiusan Society has 64 legislative seats, the most numerous of the small political parties. The remaining 479 legislative seats belong to independent candidates. The members of the legislature, who are also known as delegates, are elected after every five years in a multi-tier representative system. The world’s largest legislature meets for two weeks in spring of each year at Beijing’s Great Hall of the People. The main legislative body in the United Kingdom is the Parliament. The Parliament of the United Kingdom is the world’s biggest bicameral legislature, as it is comprised of 1,435 seats. As a bicameral legislature, the United Kingdom’s Parliament is comprised of the upper and lower houses. Unlike the House of Commons which has a cap on its membership, membership is not fixed in the upper house. As a result, the United Kingdom has the only upper house of any bicameral legislature whose membership is larger than the lower house, having 785 members compared to 650 members in the House of Commons. The political party with the highest number of seats in both houses is the Conservative Party, having 561 seats. The Crown is the head of the legislature, a title that currently belongs to Queen Elizabeth II. Germany’s bicameral legislature is comprised of The Bundestag (the lower house) and The Bundesrat (the upper house). The fundamental role of the Bundestag is the formulation of laws in the country. The Bundestag is made up of 709 seats, making it the largest lower house of any country in the world, and is only exceeded in membership by the lower house of the European Union. The Reichstag Building has been the meeting place for the Bundestag since 1999. The Christian Democratic Union is the political party with the highest numbers of seats in the Bundestag, with a 246 seats belonging to the party, while 310 seats in the Bundestag belong to the Opposition. In most governments in the world, the legislature is the body tasked with the formulation and revision of laws. The majority of parliaments have a majority side and a minority side where, in most cases, the majority side represents the government while the minority represents the opposition. Members of the legislature meet over a specified period and debate on legislation, which are then subjected to voting by the members.